Twenty-three cases of attempt to assassinate, arrests/detention/harassment, physical attacks, attack on home, verbal threats, censorship and legal cases against journalists were documented from all corners of the country during April and May 2018 period under Pakistan Press Club Safety Hub Network, managed by national-level media watchdog organization Freedom Network. Freedom Network is assisting journalists at risks in four different categories in partnership with seven press clubs in Karachi,Lahore, Quetta, Islamabad and Peshawar besides Khuzdar in Balochistan and Landikotal in Federally Administered Tribal Areas under Pakistan Press Club Safety Hub Network programme since February 2016. A total of eight cases of violations were reported from across Pakistan during April 2018. Islamabad, Azad Jammu and Kashmir and Punjab have witnessed equal violations – two cases each – and followed by one case of attack on journalist in Pashtun belt of Balochistan. Sindh and Khyber Pakhtunkhwa provinces remained comparatively calm during April. ATTEMPT TO ASSASSINATE: On April 10, Kamran Abbasi, working for Dunya News channel from Mirpur of Azad Jammu and Kashmir region, survived assassination attempt. He was on his way home when unknown gunmen opened fire at his car. Abbasi colleague at Dunya News channel in Islamabad Kashmir Mir told Freedom Network that Mirpur University of Science and Technology was “not happy” with the reporter for his stories on the varsity’s affairs. ARESTED/DETAINED/HARASSED: Four journalists were attacked/injured in line of duty – two in Punjab and one each in Islamabad and Azad Jammu and Kashmir. On April 11, Saddar Police Station ASI Ismail Mohal in Bahawalnagar district of Punjab province broke camera and held journalist as hostage on April 11 he filmed the officer attacking transgender earlier. Journalist Zafar Abbas told Freedom Network that he made video of the attack and the officer demanded handover of the footage. Upon refusal, he attacked me, broke my camera and held me hostage briefly as well. On April 12, DawnNews TV reporter Sheikh Bilal was attacked in Sheikhupura district of Punjab while doing story on use of substandard material in sewerage project. He was detained in office of local general councilor Rai Muhammad Khan. The councilor was angry at the channel’s crew filming work on sewerage project. The cameraman escaped detention while the reporter was abused, roughed up and taken to the council’s office where he was made subject to harassment. The journalist was freed an hour later after the issue was taken up Local Government chairman Amjad Lateef. ASSAULTED/INJURED: On April 7, Asad Betani: Pashtun journalist was attacked in his office in Zhob district of Balochistan after the publication of his investigative story on alleged corruption by a provincial government minister was published in The Friday Times’ weekly newspaper on April 6, 2018. 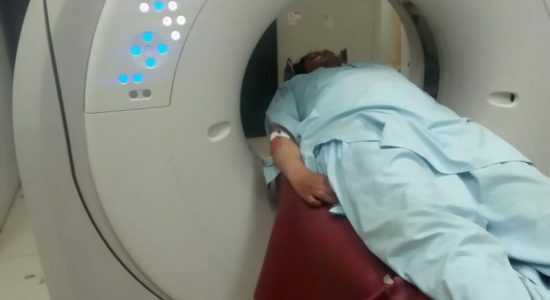 The journalist was referred to hospital in Quetta for medical check-up after workers of Muslim League-Q attacked him. The journalist believed the attack was allegedly orchestrated by the then Balochistan government agriculture minister Shiekh Jaffar Khan Mandokhail. X-ray showed the journalist received injuries. Police in Zhob was hesitant to lodge case against the minister and instead case was registered against the journalist. Freedom Network wrote to the then Balochistan home minister Mir Sarfraz Bugti and the chairman of the National Commission of Human Rights to probe the attack on the journalist. ATTACK ON HOME: On April 4, two armed motorcyclists attempted to break into residence of Geo News channel’s anchorperson Saleem Safi in Islamabad. However, private guard Suhbat Khan failed the attempt after resisting the attackers who attacked the guard with bricks and sharp-edged weapon. The journalist hosting weekly talk-show ‘Hujra’ programme on Geo News channel, told Freedom Network that he had no personal and family dispute to blame for the attack. Local police registered a case and made no arrests yet. VERBAL Threat: On April 30, Khyal Mat Shah Afridi, a journalist based in Bara town of Khyber district of Khyber Pakhtunkhwa, received verbal threat from imprisoned militant. The journalist who works for Akhbar-e-Khyber from Bara, once stronghold of Taliban-linked militancy, told Freedom Network that the arrested militant commander Dr Ekhtiar, who was active member of banned Lashkar-e-Islam militant group, delivered him the “extremely threatening message” through his accomplice from his prison cell. The imprisoned militant accused the journalist of “helping the (government) security forces in arresting me” few years back. Khyal Mat Shah was “threatened to be killed” if the jailed militant was released whenever. The jailed militant went on to say that he “advised his family to “teach” Khyal Mat Shah “a lesson” if he died in jail. The journalist informed senior civilian administration official of the area and paramilitary Frontier Corps to bring the threat into their knowledge. LEGAL CASE: On April 28, an additional district judge in Islamabad summoned K-2 channel’s anchorperson Adnan Bazmi after a citizen moved the court pleading defamation case against the anchor. Of the eight cases against journalists, five involved TV journalists and three print media. In three case police, in two unknown, in once case Pakistan Muslim League-Q workers and another local government councilor and an individual were involved in these different categories of threats journalists faced. Fifteen cases of violations were reported from across Pakistan during May 2018 – much more than documented during April 2018. Punjab and Khyber Pakhtunkhwa provinces have witnessed the most violations – four cases each – and followed by three cases in Sindh, two each in Islamabad and Balochistan and one in FATA. ATTEMPT TO ASSASSINATE: On May 1,Irshad Qureshi, reporter of Geo News channel in Rawalpindi,survived attempt to murder him when two unknown gunmen opened fire at him in Bhabhra Bazar in Rawalpindi district of Punjab province. “Two gunmen intercepted me as I entered my street,” the journalist told Freedom Network. Police registered FIR and made no arrests so far. On May 4, journalist Farhan Jafferi, reporter of Daily Pakistan in Rawalpindi, luckily escaped assassination attempt on his life when two armed motorcyclists opened fire at him near a court premise in Rawalpindi. ASSAULTED/INJURED:On May 3, Shahid Hussain Soomro, working for 7News channel in Kot Deji, Khairpur district of Sindh province, was attacked by members of a criminal group, known for ‘China-cutting,’ while the journalist was on duty. The whole scene of journalist being attacked is recorded in camera. Police registered FIR against accused Imam Ali Shah and sealed the press club. The accused secured bail-before-arrest. On May 5, police attacked Sindhi-language KTN news channel cameraman Shahzeb Hassan while he was filming ‘Dolphin Squad’ alleged torture on a citizen in Rawalpindi. The police snatched his camera and took him to a police station. SSP Rawalpindi suspended the accused cops. On May 7, journalists Himat Ali Tamrani and Ali Madad Tamrani, working for Daily Awami Awaaz and Daily Wafae Sindh respectively, were attacked by unknown people after regularly receiving threats from Mureed Wasan and Imam Ali Shah, two local influential and front-men of the then Sindh minister Manzoor Wasan, for their stories. The two journalists approached senior police official. However, the official could not do duty due to “political pressure” and instead forced the journalists to reach reconciliation with the accused. On May 14, Quetta-based correspondent of Voice of America (VoA) Urdu Murtaza Zeb Zehri was attacked on premises of Sheikh Zayed Hospital while investigating alleged jobs scandal. A video showing hospital’s private guards thrashing the journalist as details emerged that medical superintendent of the hospital ordered the guards to attack Murtaza. The then Balochistan government took urgent steps to arrest the five guards who attacked the journalists and registered FIR against them. On May 28, Jamiat Ulema-e-Islam (Fazlur Rehman group) workers attacked media-persons covering protest of the religious party against Khyber Pakhtunkhwa Assembly passage of resolution for merger of FATA with the province. Siraj, working for DawnNews channel, received injuries as a result of this organized attack on media in Peshawar. Local police took so far no action against the attackers and Peshawar Press Club and Khyber Union of Journalists condemned this mob attack on media persons. ARESTED/DETAINED/HARASSED:On May 20, police arrested journalist Amjad Ali Bhatti in Mureedke, district Sheikhupura of Punjab province. The journalist alleged he was victimized for his reports against elected member of the then ruling Pakistan Muslim League (Nawaz). The lawmaker denies any involvement in almost 11 cases registered against the journalist since January 2017. In remote areas, journalists are under pressure from elite class and influential landlords who influence clout to harass journalists when they report corruption or other stories. On May 14, Mardan Press Club General-Secretary Riaz Khan Mayar reported harassment when two unidentified persons stopped his car on Mardan-Malakand Road abusing and harassing him for 15 minutes giving no reasons why they made the journalist subject to harassment on broad daylight. CENSORSHIP: On May 7, Pakistan Telecommunication Authority blocked access to Quetta-based online magazine Hal Hawal in some areas of Pakistan. The issue surfaced when its reader complained accessibility problem to the magazine’s editor, Shabir Rakhshani. The editor told Quetta Press Club Safety Hub, managed by Freedom Network, that he asked PTA to offer reasons for the blocking access to his online magazine. “The PTA is not sharing the reasons,” he said. ATTACK ON MEDIA OFFICE: On May 9, unknown men attacked office of journalist Liaqat Siyam, working for AVT Khyber and online TNN News agency, in Lakki Marwat district of Khyber Pakhtunkhwa province. Luckily, the journalist was not present in office during the attack but attackers damaged the office. This was the second attack in last one year as the journalist escaped attempt on his life in 2017 and believed some local “criminals” were involved in the second attack. ATTACK ON DSNG VAN: On May 28, workers of Jamiat Ulema-e-Islam (Fazlur Rehman group – JUI-F) while protesting passage resolution by Khyber Pakhtunkhwa Assembly for merger of FATA with the province also attacked journalists and their equipment. The angry workers of JUI-F damaged Digital Satellite News Gathering vans of Dawn News and Bol TV channels when the media was covering the JUI-F protest. Peshawar Press Club and Khyber Union of Journalists in their reaction decided to boycott the JUI-F until they paid the damages. Of the 15 threat cases, five were directed against print, eight electronic and two online media journalists. Political parties took the lead over the state actors to threaten media practitioners as Pakistan People’s Party, Pakistan Muslim League-N, JUI-F and AJK PM were involved in four threat cases while state actors in three cases in three other cases involved criminal group, hospital guards and unknown elements. Caption: Journalist Asad Betani is treated in Quetta hospital after a political party’s supporters attacked him in Zhob district of Balochistan.